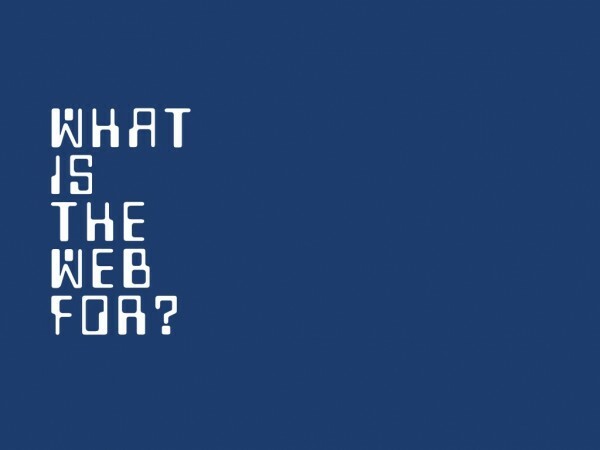 Web Design – The First 100 Years « Adafruit Industries – Makers, hackers, artists, designers and engineers! O’Reilly takes this to mean that if we surround ourselves with the right people, it can give us a sneak peek at coming attractions. I like to interpret this quote differently, as a call to action. Rather than waiting passively for technology to change the world, let’s see how much we can do with what we already have. The Web belongs to us all, and those of us in this room are going to spend the rest of our lives working there. So we need to make it our home. We live in a world now where not millions but billions of people work in rice fields, textile factories, where children grow up in appalling poverty. Of those billions, how many are the greatest minds of our time? How many deserve better than they get? What if instead of dreaming about changing the world with tomorrow’s technology, we used today’s technology and let the world change us? Why do we need to obsess on artificial intelligence, when we’re wasting so much natural intelligence? A fast read. Worth the time for just about anyone who works in or with tech right now. Disclaimers: Polemics, contains some swears.